Tomorrow is last day to order from current catalog! Don't forget tomorrow June 30th is the last day to order from the current catalog. After tomorrow night you will be ordering from the new catalog. I can't wait. You can order from my website www.franceswagner.stampinup.net or you can contact me to place an other. I will be ordering on Thursday from the new catalog. Don't forget to drop by Thusday evening to view the new catalog. I have a few new catalogs left. Contact me to reserve yours today. Attn: Former Demonstrators: Starting July 1st, you will have one month to rejoin Stampin' Up! for only $35 !!! Contact your former upline, or contact me with questions .. what a GREAT opportunity! Congratulations to Lisa Williams she is the winner for my 50/50 drawing. 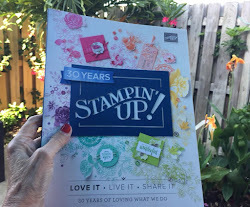 Lisa contact me to redeem your $50 shopping spree in the Stampin UP Catalog! Do you need a job? Extra money for vacation? Job Opportunity: I am now hiring for a fun filled job. 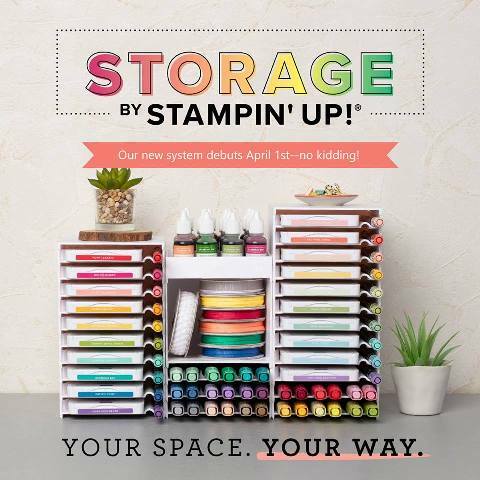 This is the last week to get your Stampin'UP! demonstrator kit for only $99.00. July 1st the kit will cost $175.00. Join my team today and name your own hours and get paid for what you love to do. Email me for more information. 1) Your ticket to this lunch is to bring a $150.00 order before shipping and taxes. This is a great time to get those stamp sets and supplies that are going to be retiring on the last day of June. This can be an order of your own or you can collect orders from your friends, co-workers or family members and voila you are good to go. 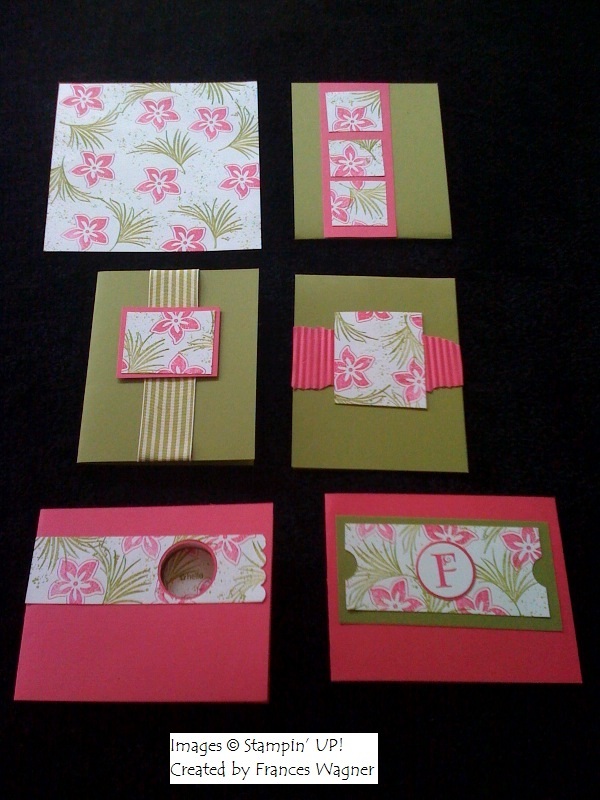 2) After lunch we will make a card using a set from the summer mini. 3) You will be the first to pick from my retired stamps that will be discounted from me. Yummy Dessert and a to die for tropical punch! So dig out that Hawaii shirt or something else fun. I will demonstrate how to use your big shot for making table decorations and you are going to have a blast. There will also be doorprizes!!! You must RSVP before June 13th so I can prepare for you! Part 2-Retirement party from 2-4 I will have a retirement party for my old sets that are retiring. Everyone is invited to the retirement party. Invite a friend and join us for a great time. I will have work stations for people to try out the big shot and look at what My Digital Studio has to offer on my laptop. Don't forget to rsvp to either or both activities. Thanks for stopping by. By then I should have my own copy of the new catalog. I know you will want to see it. 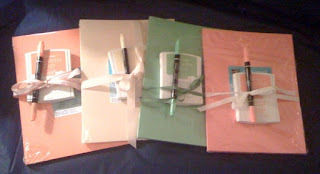 After seeing the retiring colors I decided to offer a packet of cardstock, ink and marker to the next 4 hostess' that I have to hold a Stampin UP party in June. 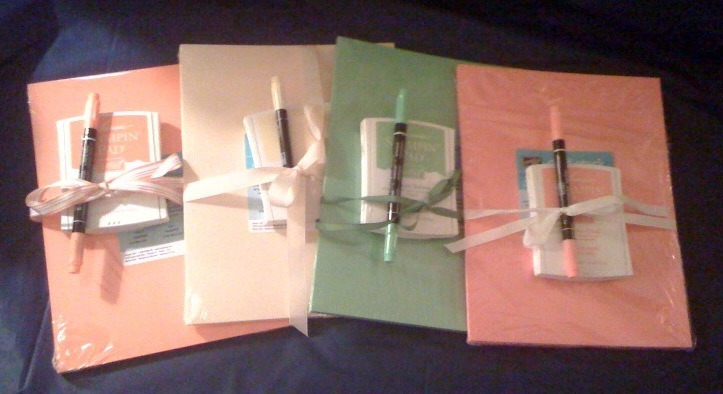 The colors are Only Orange, Barely Banana, Green Galore and Cameo Coral. Contact me today to pick your color and to get your party on my calendar. 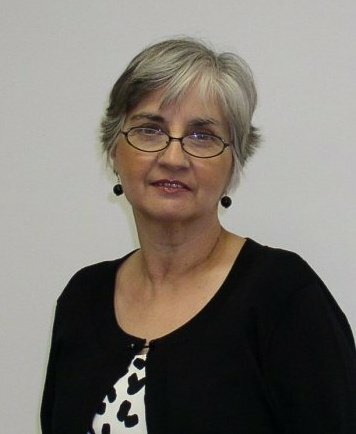 wagstamp@bellsouth.net Thanks for stopping by. Click on the links below to download the retiring Last Chance list. Click HERE to email me to order or questions. You can also place your order online by clicking ORDER ONLINE button to your right.